WHAT IS THERMA-START™ FOR LIGHT TOWERS? Therma-Start™ Light Tower Runtime Controller is an electronic monitoring system that easily installs on any light tower unit and provides programmable times and parameters for start-up and shut-down. 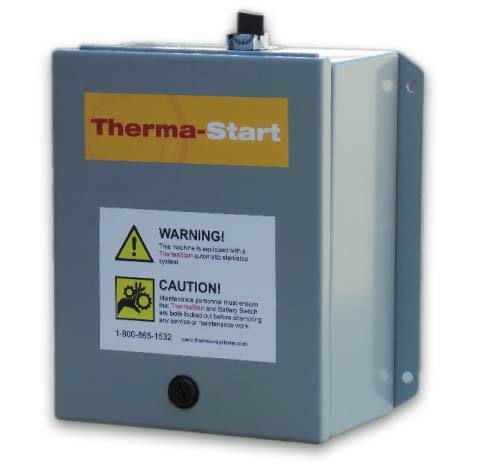 By installing a Therma-Start™ controller; fuel consumption, maintenance costs, and carbon footprint can be dramatically reduced. 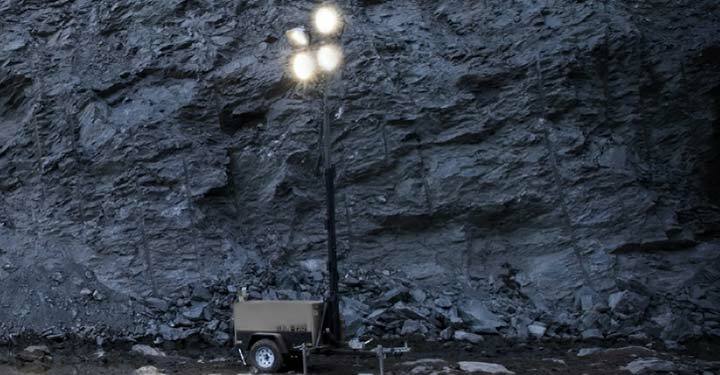 Therma-Start™ for Light Towers is a non-invasive retrofit system that regulates start/stop times with a programmable timer or photocell so that unit doesn’t run during daylight hours. It also monitors battery condition, ambient and block temperature to ensure reliable start-ups during cold weather. It drastically reduces both Planned Maintenance intervals and fuel truck visits as a result of the decreased operating hours and fuel consumption. Therma-Start™ Light Tower Runtime Controller sends a start signal to the engine, allowing for adequate warm-up time, before lights come on. It also provides a staggered timed delay for each bank of lights to come on separately, reducing the possibility of a large in-rush of current. At the end of the programmed ON cycle Therma-Start™ then initates a short timed delay that safely cuts power to each bank of lights before signalling the engine to shut-down. Also during the programmed OFF cycle, Therma-Start™ constantly monitors battery voltage and will initiate a start-up if the level drops below adequate voltage. With a simple selector switch, this system can be completely and safely bypassed for manual operation or a service/repair interval.